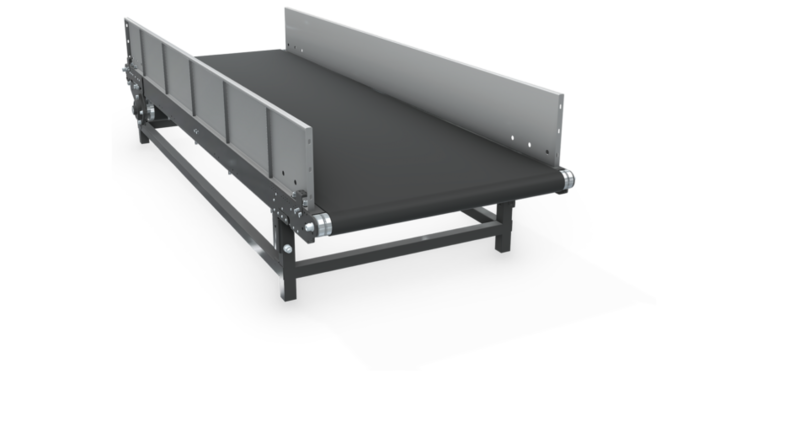 All conveyors have a heavy-duty bridge construction assuring high durability and low noise level. Conveyors have a channel shaped body. Designed for ease of maintenance, any key component can be removed and reassembled in less than 30 minutes. All conveyors are equipped with a system protecting bags against damage during transport. Belts are carefully selected to assure proper adhesion preventing bags from rolling up or sliding. They are antistatic, low noise with an impregnated work surface for friction reduction.